The imperative to secure research grants is one of the constant challenges of an academic’s life. Just from my own observations and (admittedly limited) involvements, it has become almost an end in itself. Apart from publication in highly ranked journals, it is practically the only measure of competence and worth and one of the few guarantees of career advancement. And grantsmanship allows universities to boast – and boast again when their successes influence national and international rankings. Even when resolved to seek a grant, one faces many secondary frustrations such as the requirement to sum up the project both succinctly (usually in only 100 words) and meaningfully to people not necessarily from or even allied to one’s discipline. In 2009, a team led by Professor Alistair Thomson of Monash University sought Australian Research Council funds for a five-year linkage grant for a project titled ‘Australian generations: life histories, generational change and Australian memory’. Other scholars to be involved were colleagues of Thomson’s or came from La Trobe University, and there were two industry partners, ABC Radio and the National Library of Australia. A further frustration when seeking ARC grants is the unavoidable need for guesswork. Researchers usually do not actually know what will result from their endeavours – how can they? – but they still need to hype the anticipated results to at least get the funds to find out. Thus, Australian Generations ‘will strengthen Australia’s social and economic fabric’; there will be ‘[s]ixty national radio programs’ and ‘unprecedented online access to an immensely rich … collection’. Well, the project got funded and, inevitably, Monash issued one of those self-satisfied aren’t-we-clever press releases. Then between 2011 and 2014 over 1220 hours of recordings were produced involving 27 interviewers and 300 ‘narrators’. In parallel and subsequently, ten (not sixty!) radio programs were made, two conferences held, an online exhibition prepared, and a special theme issue of Australian Historical Studies appeared in early 2016, which discussed methods and issues and analysed and explained the significance of the findings. And, of course, the project resulted in the book under review. The interviews have been digitally preserved by the National Library, catalogued and transcribed, and all are or will be available to listen to (although about one-third are temporarily held under embargo or not available online in accordance with the narrator’s wishes). On the other hand, many interviewees were not only happy to have everything immediately accessible, but also allowed ABC Radio National’s Social History Unit to prepare broadcast extracts of the interviews as part of the Hindsight program and were happy to be included in the book. 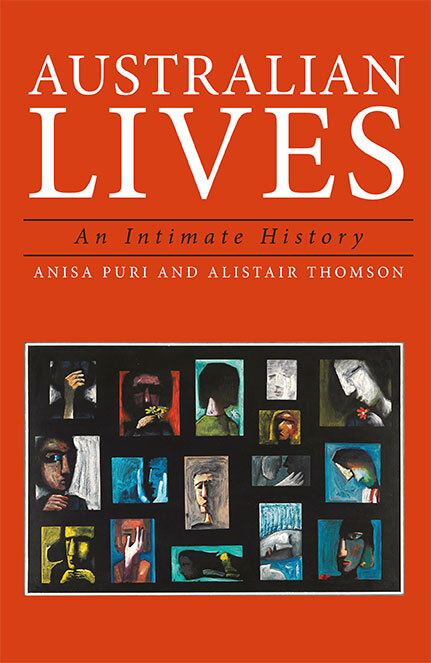 So finally: Australian Lives: an Intimate History. It is both a 425 page softcover book, and an e-book. The editors were key players in the project, Anisa Puri (Project Officer) and Alistair Thomson (Lead Chief Investigator). They have structured lightly edited extracts from the transcripts of 50 of the 300 people interviewed to illustrate two sets of interwoven chapters. The first set incorporates the broad stages of life (Childhood, Youth, Midlife and Later Life), each subdivided into five to six smaller topics. ‘Youth’, for example, covers High School, Teen Family Life, Pleasure and Risk, Youth Culture, First Loves, From School to Work, and Military Service. The second sequence, interspersed among the chapter sequences of the first, covers common themes: Ancestry, Faith, Migrants, Activism, and Telling My Story. Supporting this structure are short introductory essays, citations for other project interviews held at the National Library, and references to scholarly writing about the particular theme. 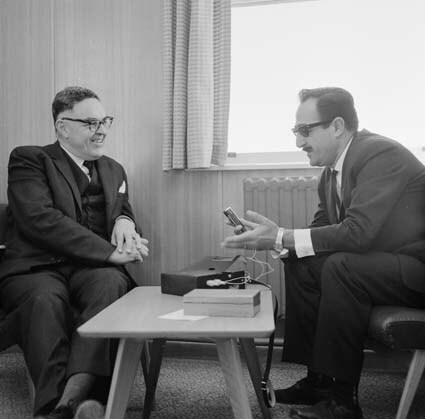 Finally, there is a separate list of the 50 interviewees, some basic biographical details, the name of their interviewer, and the National Library catalogue number. It is indeed quite a resource. The Australian Lives editors and other project members have made much of the value of oral history as aural or heard history, and aural history also receives substantial attention in the oral history literature. It is self-evident that an interview transcript – regardless of how literally ‘verbatim’ is taken and how carefully the transcript is prepared and enhanced (for example, annotations and edits to indicate an aside or a pause or a sigh) – cannot convey as much as the audio version. Equally, the editors have stressed the benefit of the book’s companion e-book, which allows access to both the edited transcripts and via hyperlinks to the NLA’s raw, unedited and complete interviews. While I’m unsure if the editors are right to call it an ‘“aural history“ first!’, the e-book does indeed seem to be a better option than the hardcopy – and it is cheaper. Undoubtedly, being able to search across the entire archive would outperform the book’s index. Apart from puzzlement that the e-book (ISBN 978-1-922235-79-4) is neither referenced in the paperback’s cataloguing data (on the title page verso) nor catalogued by the NLA, an additional surprise is the absence of any discussion – at least in the book – of the value of filmed interviews. In their Introduction (pages xii-xiii) the editors are quite eloquent explaining the nuanced meanings potentially conveyed by the ‘texture and sound of speech’ when compared with a transcript. If this is so important, what then of all those non-verbals: the classic raised eyebrow, the shrug, folded arms, a smile, an enthusiastic nod, a half smile, sudden stillness, fidgeting hands and nervous tics? Simply too expensive to capture, and not important enough? The underlying question of the Australian Generations project was how well standard generational categories and related assumptions held up. The investigators wanted to explore ‘the interactions and overlaps between generations, and the ways in which class, gender, ethnicity, race and region inflect with and cut across age and generation’. They knew from the beginning that care would be required in selecting their sample of interviewees. 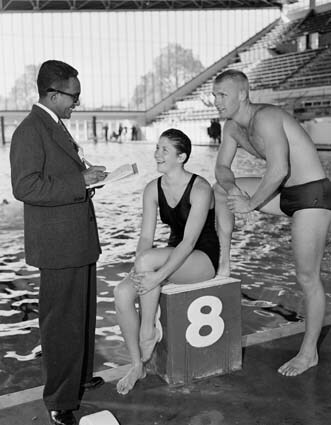 To garner an initial population, the need for participants was advertised widely using radio, national and local newspapers, online and social media, and various grass-roots approaches. From the 700 people expressing interest, 300 were selected with an eye to achieving an even spread from the 1930s to the 1980s, and diversity in terms of class, educational background, gender, sexuality, disability, region, indigeneity, and ethnicity. People who are already comfortable in telling their life story and can see the personal and political significance of putting that story on the record are keen to contribute. But our challenge will be to record the more silent Australians who do not think that their “ordinary” lives are historically significant. Our project will gather some of these less vocal stories and challenge generational conventions. Underpinning the need for a generational and diverse spread of life experiences, the project leaders also said they were interested in the lives of ‘so-called “ordinary people”‘ (page ix), or as Thomson put it in 2011 in The Conversation, ‘ordinary’ Australians’ everyday lives over time. In that same piece, he had described ‘generation’ as a slippery, misused concept. Could anything be slipperier and more loaded, overused and hollow than ‘ordinary’? We know politicians exploit the word – and ‘hard working families’ and ‘every-day Australians’, too; we know some people’s sense of self is anchored to ‘ordinary’; but seriously, how analytically valuable is it? Still, ‘ordinary’ seems like a conceptual ear-worm; we are stuck with it. In 2014, a new oral history project was announced, again involving ARC funds and various university scholars and the National Library, and the Australian Lesbian and Gay Life Stories project modelling their approach on the five generational cohorts developed by the Australian Generations team. Its aim was to ‘interview five different generations of “ordinary” gay men and lesbians providing deep insight into how individuals negotiate social change in their intimate lives’. Even so, one of the most interesting if unexpected chapters in Australian Lives is its last (Chapter 9: ‘Telling My Story’). Introducing it, the editors’ reflections spanned all the classic dilemmas of oral history, including their narrators’ varying motives. These included wanting to put on record ‘the “ordinary person’s stories” that are often missing in history’ (page 381), an imperative which spanned generations not just typically found among baby boomers. Australian Lives and its associated products represent highly organised, academically grounded, properly funded, institutionally sustained oral history. The project was underpinned by expert committees and supported by the established oral history communities. The minds behind it are eminent authorities on the theory of oral history and related areas such as community memory. Yet it would be wrong to think it is the only approach possible or being practised. In fact, as I have previously observed, Australia is awash with stories: people telling and recording stories and prosecuting the idea that everyone has stories and they are all worth preserving. The more ordinary the better, of course. While Australian Lives was being launched earlier this year, so was They Cannot Take the Sky: Stories from Detention, edited by Michael Green and André Dao. The contrasts with the Australian Generations project are telling. Again, we have edited transcripts of oral history, in this case published online and in print by Allen & Unwin and selling for $10 less than the Monash title. Again, we have a sample of voices – 35 instead of 50. Again, we have ‘intimate history’, with talk of love, loss, friendship, loyalty, death and dreams. Again, we have a spin-off exhibition, offered at the Immigration Museum, Melbourne, and online. (It is to be hoped that the Museum will become the ultimate archive for the tapes.) And all participants volunteered, while some have imposed access conditions, mostly requiring anonymity. Here, however, the narrators are asylum seekers and refugees from nine different countries who arrived here between 1997 and 2013, some still in detention, including on Manus Island and Nauru, some finally living in Australia. ‘Ordinary’ barely begins to describe them and their experiences. Like its Australian Generations counterpart, They Cannot Take the Sky was and continues to be part of a bigger project. This one is called Behind the Wire, a community network of volunteers and activists determined to document the experience of detainees, supported by public donations and, rather than cultural heritage institutions, organisations such as Amnesty International Australia, Right Now, Voice of Witness and the Wheeler Centre. As a final point, let’s return to the preference for the aural over text. 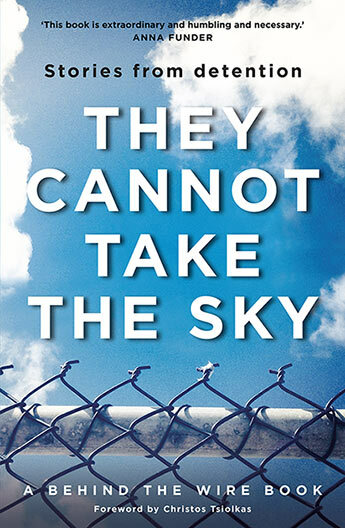 In his Foreword to They Cannot Take the Sky, Christos Tsiolkas thought of its stories as testimonies and a form of witnessing. Reading them brought the thrill of a new language. Maria Tumarkin made a similar point in a review for The Monthly, calling the stories urgent historical documents and timeless poems. Perhaps the written word, unvarnished and at times ungrammatical, is enough to carry the point. Tumarkin explained she wanted to do the review ‘in order to say that it is literature, not broccoli for the nation’s soul. That is this book’s beauty, it’s how it must be read.’ When in 2011 Alistair Thomson reflected in The Conversation on what might result from the Australian Generations project, he imagined historians a hundred years hence testing its long-term success. In fact, one hopes that both books will be at least read, and read now. *Michael Piggott is Honest History’s Treasurer and a former senior archivist.